Apple Valley, MN, June 16, 2015 — Uponor North America has been named one of the Top 150 Workplaces in Minnesota by the Minneapolis Star Tribune, ranking 37th on the mid-size company list. The Star Tribune's Top Workplaces recognizes the most progressive companies in Minnesota, based on employee opinions measuring engagement, organizational health and satisfaction. The analysis included responses from more than 69,100 employees at Minnesota public, private and nonprofit organizations. Gray credits Uponor North America's culture and the foundational values — Connect, Build, Inspire — to ensuring it is a great place to work. These are more than words; these are behaviors that outline what employees can expect from Uponor North America and what is expected from its employees. The Top Workplaces special section was published in the Star Tribune on Sunday, June 14. 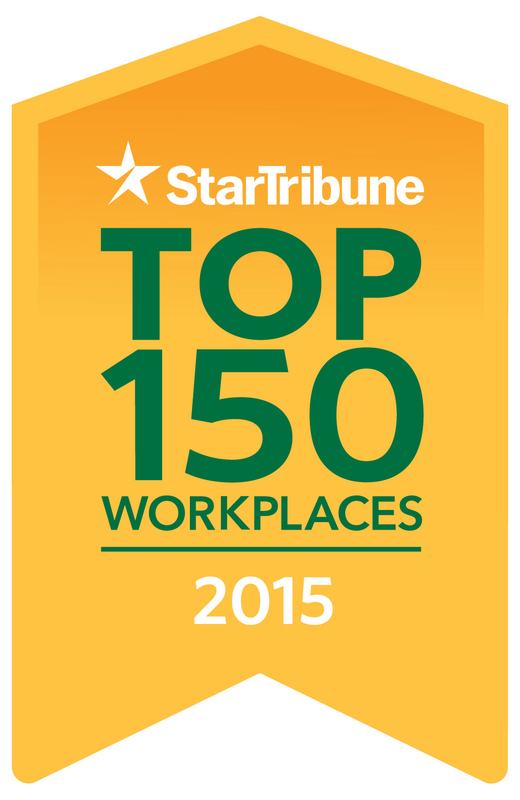 The report can also be found at http://www.startribune.com/2015-top-150-workplaces/307123441/. The rankings in the Star Tribune Top 150 Workplaces are based on survey information collected by WorkplaceDynamics, an independent company specializing in employee engagement and retention. To qualify for the Star Tribune Top Workplaces, a company must have more than 50 employees in Minnesota. More than 2,100 companies were invited to participate. Rankings were composite scores calculated purely on the basis of employee responses. Uponor, Inc. is an award-winning provider of plumbing, fire safety, radiant heating/cooling, hydronic piping and pre-insulated piping systems for residential and commercial applications. In 2014, the company received a Best in Class award for Minnesota manufacturing, a Community Impact Award for sustainability, and a Progress Minnesota Award for driving business growth and economic development. In 2015, the company received the Governor’s Safety Award, a Community Impact Award for workplace giving and was named a Top 150 Workplace by the Minneapolis Star Tribune. Uponor, Inc. employs around 500 people at its North American headquarters in Apple Valley, Minn. This marks Uponor North America’s fourth year as a Star Tribune Top Workplace.